Combine 2 Tablespoons cheese with bacon, mix well. In a large bowl, layer spinach, cheese mixture, mushrooms, onions and peas. Combine mayonnaise, sour cream and sugar. 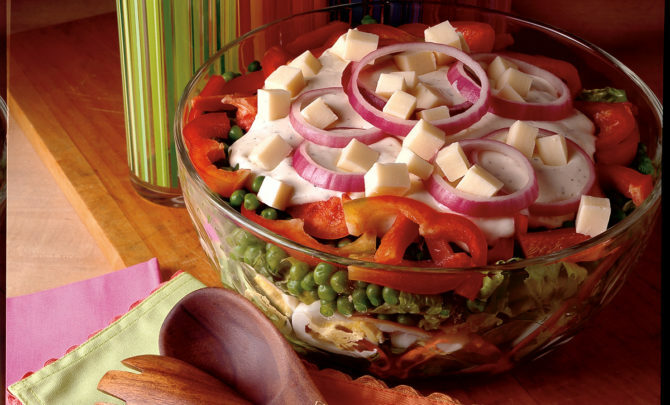 Sprinkle the remaining cheese on the top of the salad. Cover and refrigerate overnight to set.